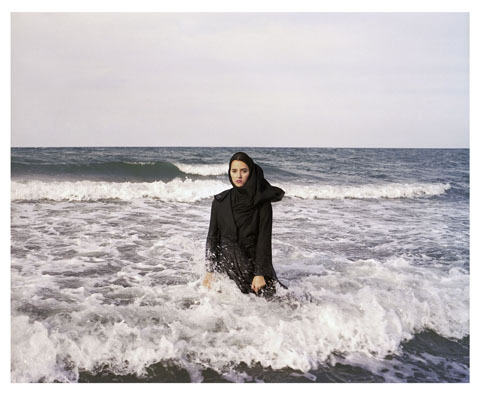 Photographer Newsha Tavakolian works as a photojournalist as well as an artist. She began her career as a photojournalist for the Iranian press—working for nine publications that are all now banned—and since 2002 has worked for foreign press agencies. Tavakolian’s art often illuminates the lives of women in Iranian society. 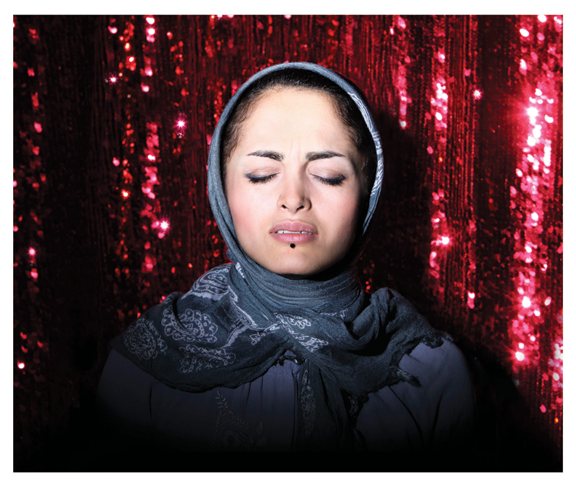 In her series “Listen” (2010), she addresses social concerns through stirring images of women singers. This entry was posted in Artist Spotlight, NMWA Exhibitions and tagged Listen, Newsha Tavakolian, she who tells a story by Women in the arts. Bookmark the permalink.